A volume study of the human figure is used in life drawing or figure drawing to help see the forms of the figure. 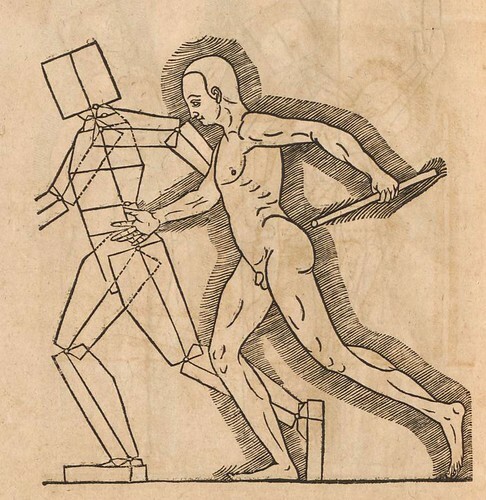 The figure is broken down into geometrical components to help determine the posture and action of the figure. 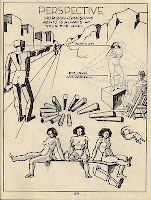 The shapes are based on the common geometrical shapes, and positioned according to the perspective of the figure. 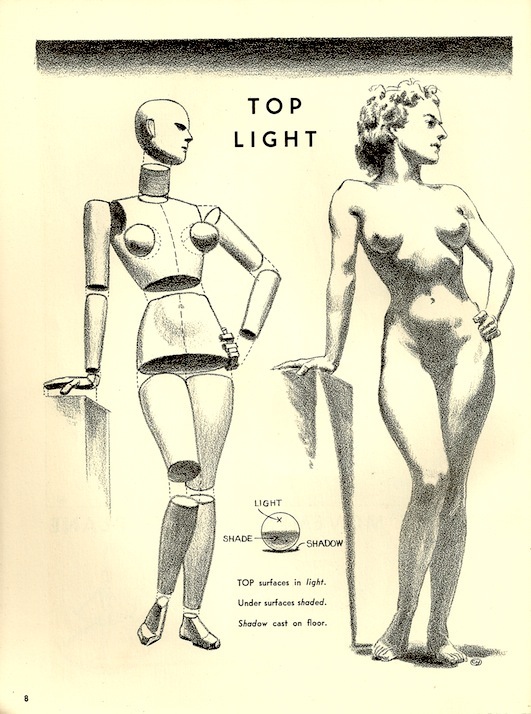 The sketch above is based on a figure from G.M. 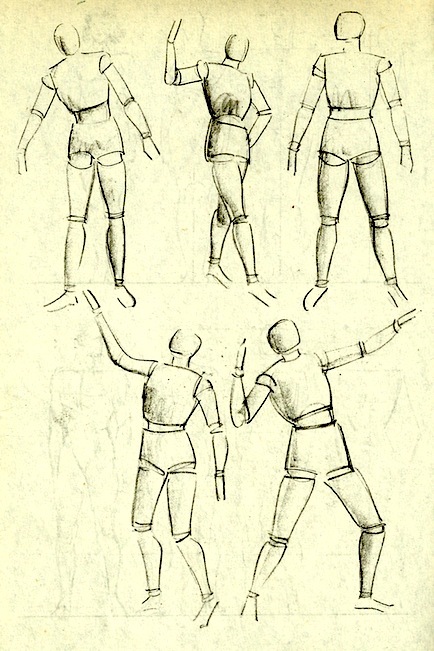 Ellwood and F.R.Yerbury's Studies of the Human Figure . 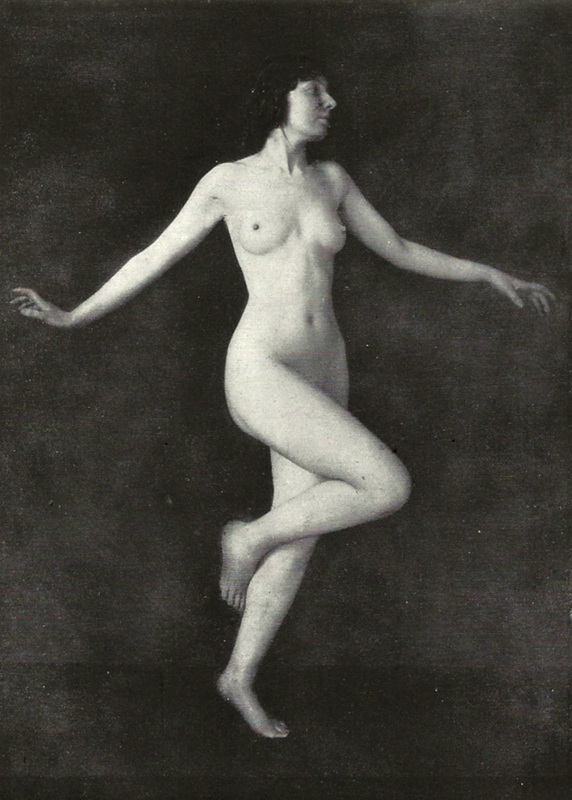 The model is the same Dorothy Lees who modeled for Adolphe Armand Braun's Hieroglyphic or Greek Method of Life Drawing. 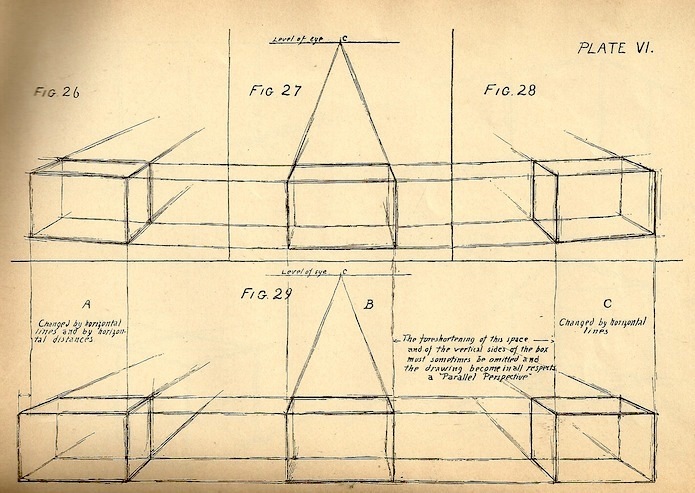 Here are some simple exercises in free-hand drawing of geometrical shapes from Free Hand Drawing, Light and Shade and Free Hand Perspective by Anson K. Cross. 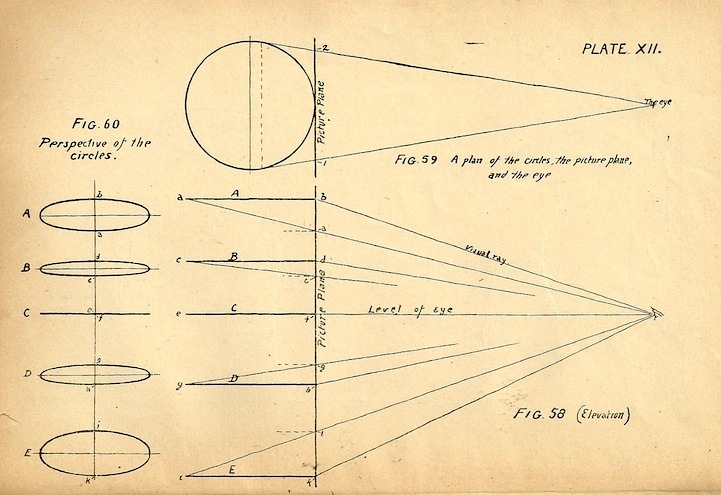 Parallel perspective and angular perspective. 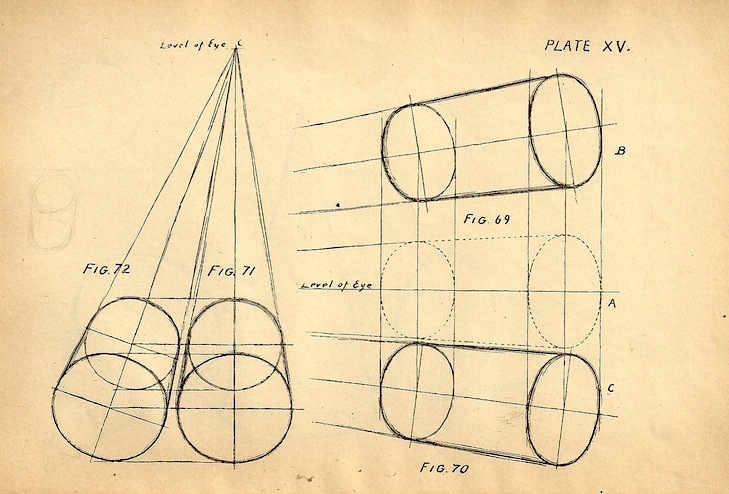 Perspective of circles and perspective of cylinders. 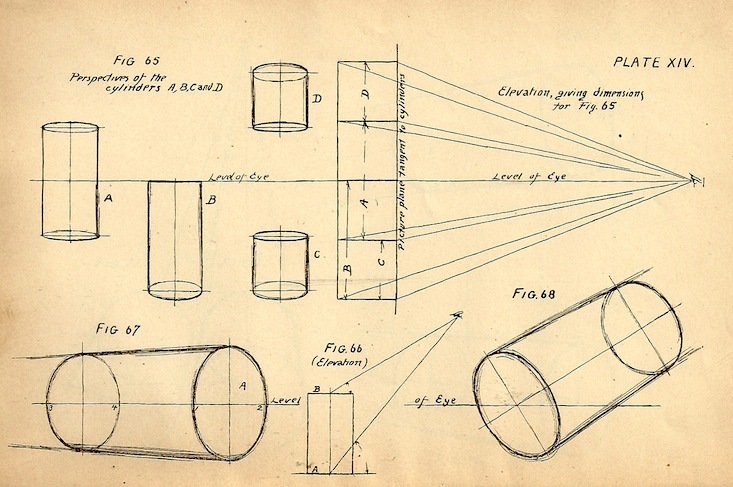 Perspective of cylinders and perspective of various shapes. The artist takes the various shapes and applies them to parts of the body. 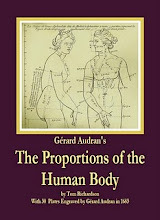 Charles X. Carlson applies the laws of perspective to the figure in his book A Simplified Art Anatomy of the Human Figure , the lessons are reprinted in Art Anatomy Simplified . 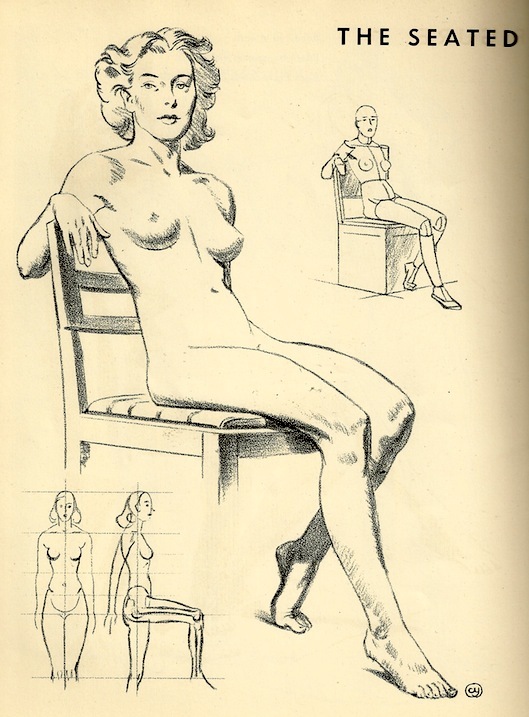 The second illustration is from Cliff Young's book Figure Drawing Without a Model . 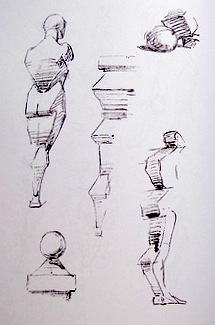 Two more figure drawings showing how to develop the figure from volumes and shapes from Cliff Young's book. 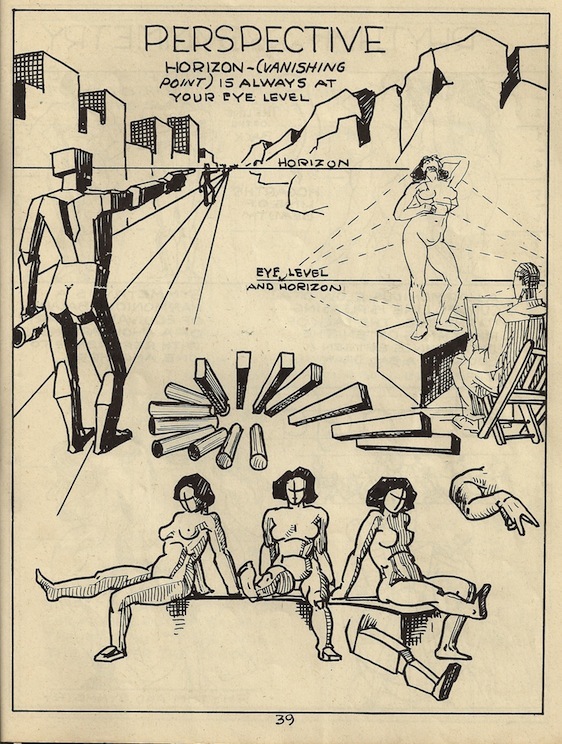 John Moranz draws volume studies of the figure in action in his book Mastery of Drawing , reprinted as Drawing and Illustration: A Complete Guide by John Moranz. A copy from Amazon.com is available here , The professional guide to drawing and illustration: Mastery of drawing . Iain MacNab illustrates the construction of the body using basic forms and minimal shading in his book Figure Drawing . 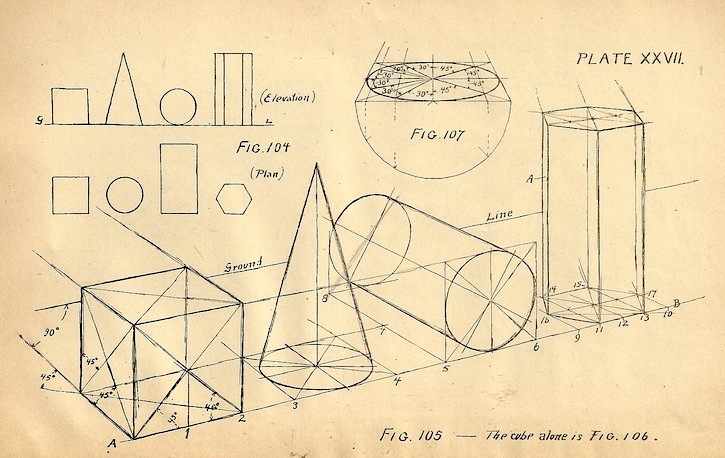 Of course, the purpose of learning to render forms is to produce a convincing three-dimensional representation of the figure, to do that requires an understanding of shading. 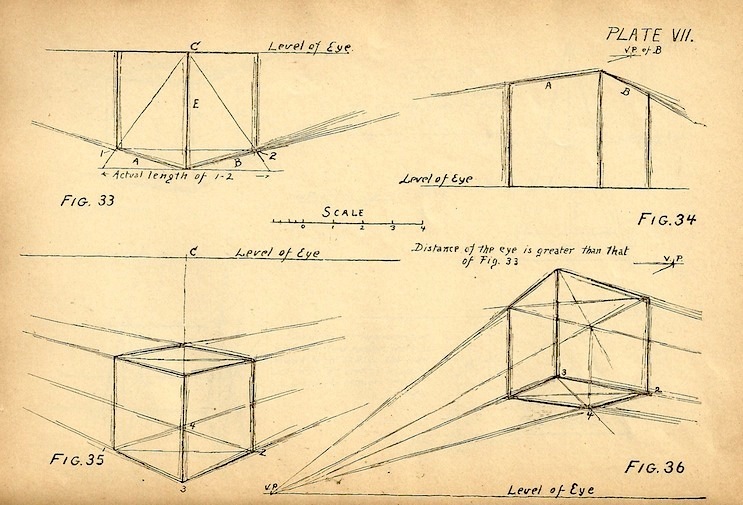 Here are some exaples of shaded geometrical forms from Some Hints on Learning to Draw by G.W. Caldwell Hutchinson. More here. 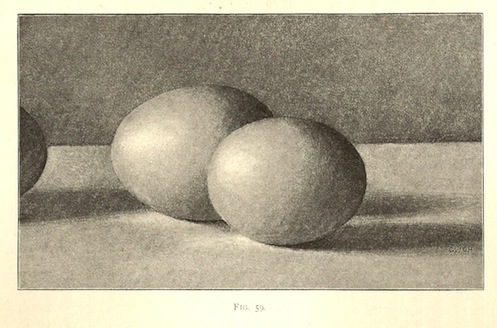 John Moranz shows how to use shading to construct solid forms. 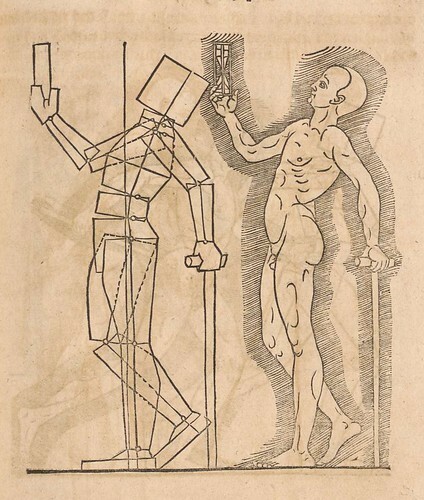 Early use of volume or mass to describe the human form appeared in Heinrich Lautensack's book Des Circkels und Richtscheyts, auch der Perspectiva und Proportion der Menscher, which was heavily influenced by Albrecht Durer's work. A discussion of the book is at the BibliOdyssey blog and the entire book can be viewed at Digitale Bibliothek - Munchen. This book emphasizes a method of drawing that includes an emphasis on surface details and the observation of volume forms of the body and defining the body through the use of simple geometric shapes. 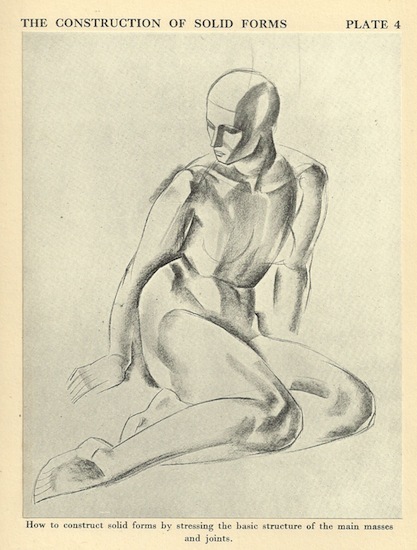 George Bridgman was on the faculty of the Art Students League of New York and published a number of influential books on drawing the figure. 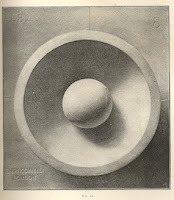 This combines some of the best of them, including his methods of drawing masses (volumes).